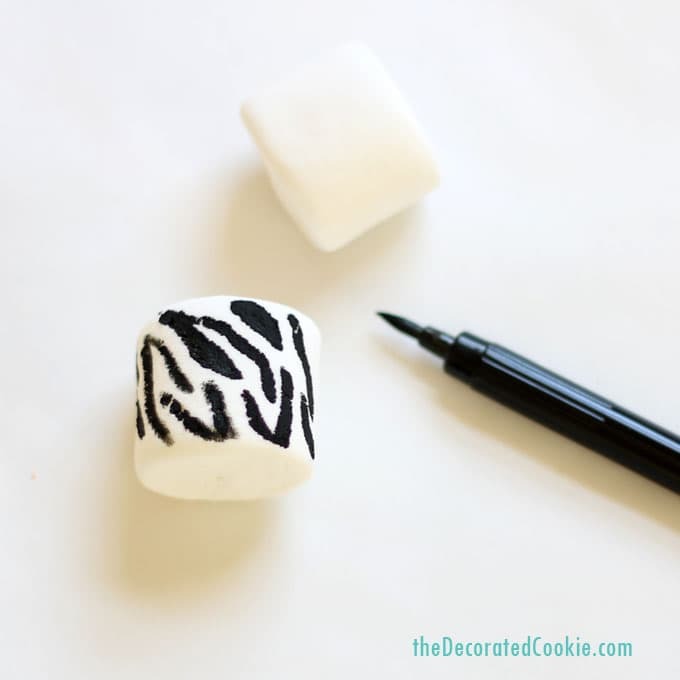 How to draw animal print marshmallows. 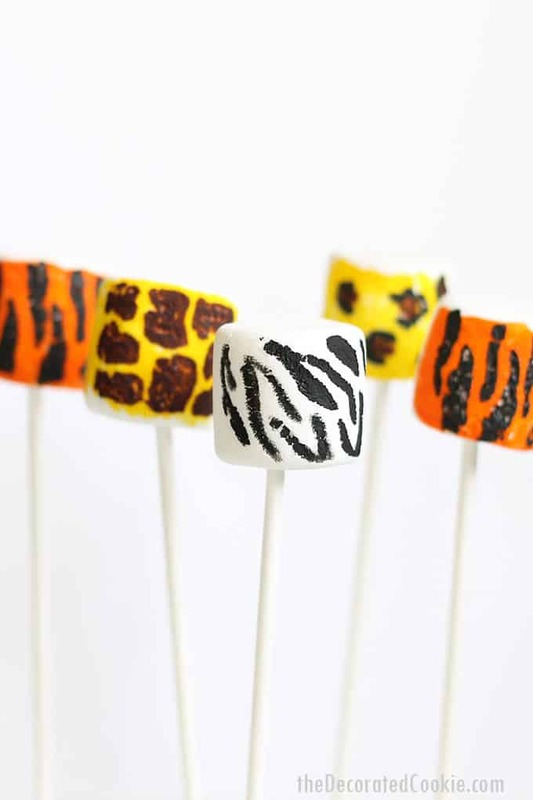 As is firmly established, I’ve a thing for marshmallow art. It’s an addiction (now that Instagram is involved). 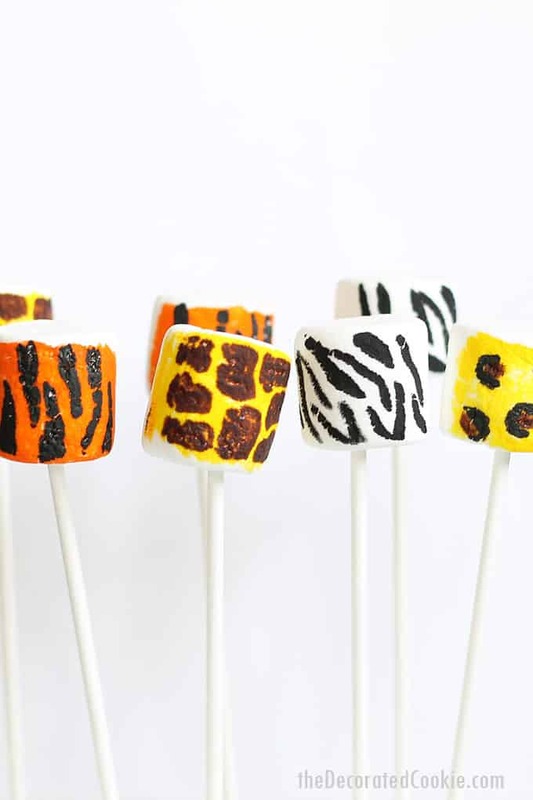 But if marshmallows aren’t your thing, then you can use these simple how-to-draw instructions for animal print marshmallows for anything, really. Edible writers work on royal icing (that has been flooded and left to dry very well, overnight) or fondant, too, so you can use this print for decorating cookies, cupcakes and cakes. Or, edibles aside, use regular markers for your craft projects. Animal print goes with everything, I hear. 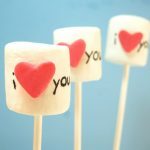 CLICK HERE for more tips on how to use edible writers, what to buy, where to buy them and how to work with them. For the best brands of writers to use, I find for larger areas, I use the Americolor Gourmet Writers and the Wilton FoodWriters, though I like the strong flow of the Americolors best, so if purchasing one set, I’d opt for the Americolors. For detail, you can’t beat the FooDoodler Fine Line markers. Below, I get away with ONLY using the Americolor. 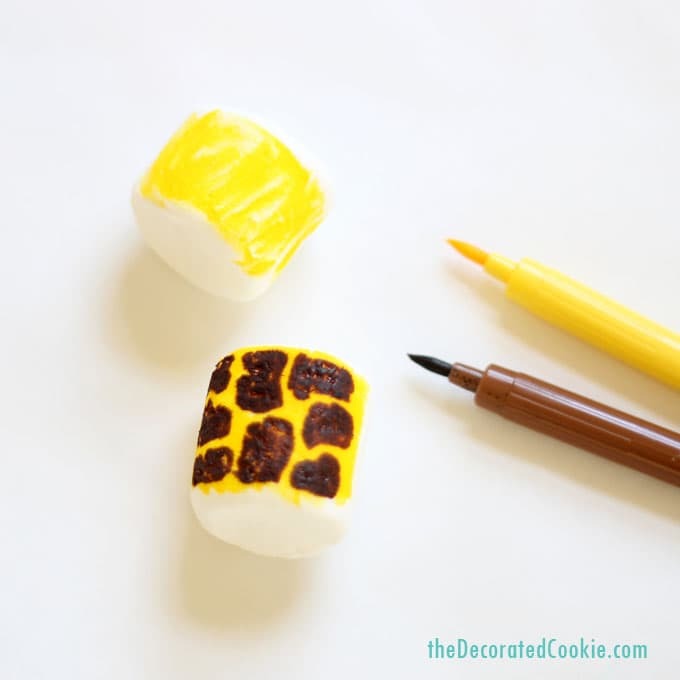 For the giraffe, color the background with a yellow edible writer. Let dry for a good bit (15 to 30 minutes). 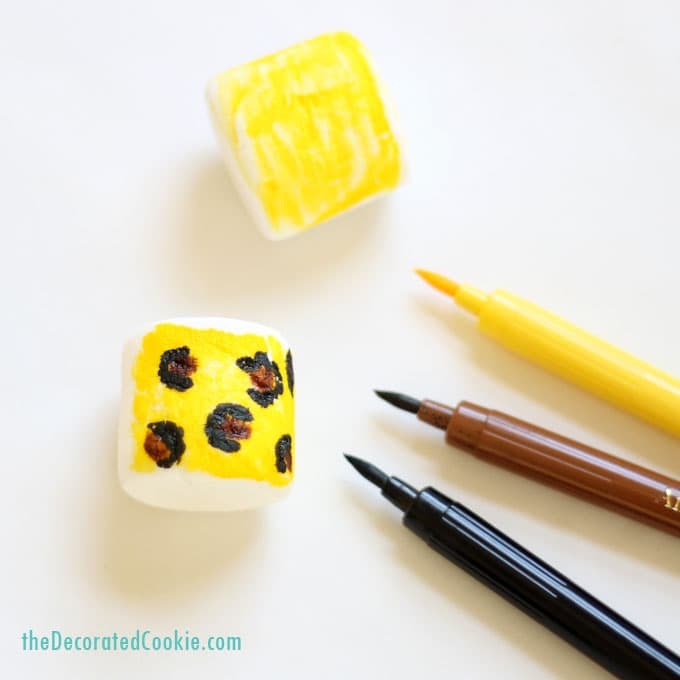 Draw lopsided squares with rounded edges in brown. Make them fit puzzle-like to each other. For the zebra, draw flowy lines with a fine-tip black writer. 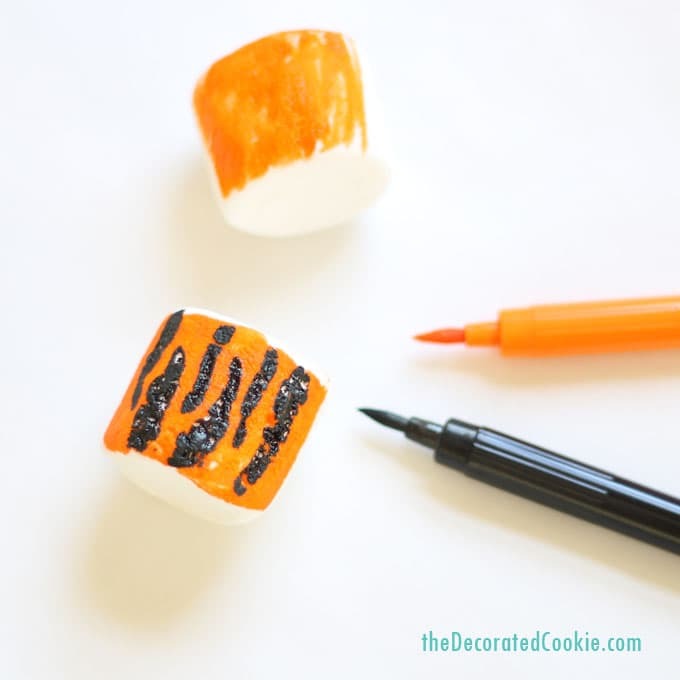 For the tiger, color the background with an orange edible writer and let dry. Draw lines with a fine-tip black writer. 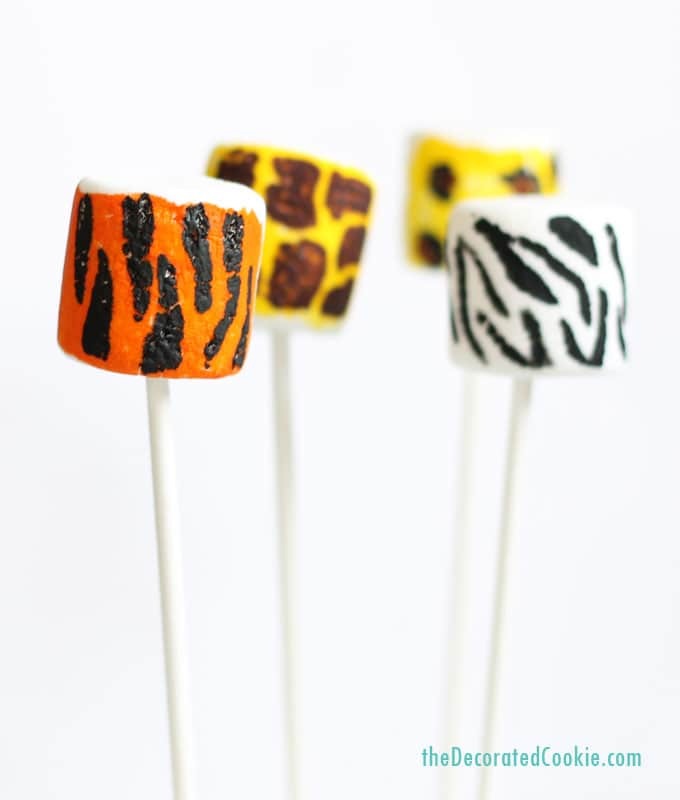 For the leopard, color the background with a yellow edible writer. Let dry. Use a black writer to draw black dots. Use a brown writer to make “C”s around each black dot. 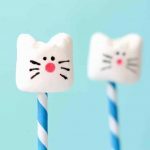 If desired, skewer with lollipop sticks to serve. Keep in a single layer in a sealed container until using. 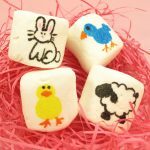 These marshmallows are so much fun! 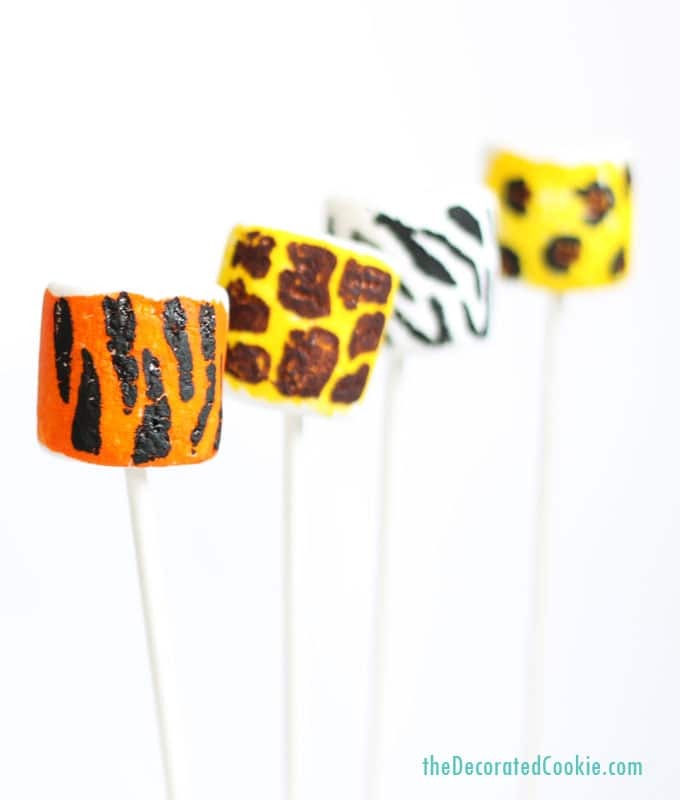 I love the animal print designs.